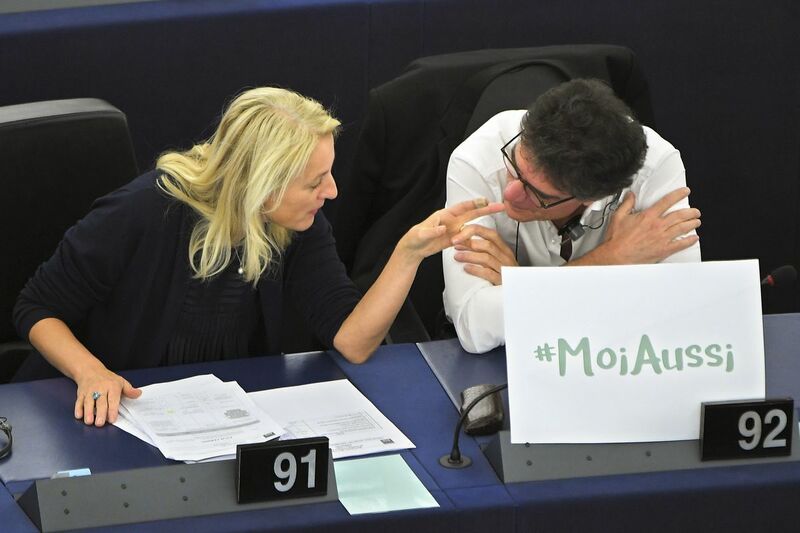 French member of the European Parliament, Eva Joly (first row center) holds a placard reading “Me too,” during a debate about sexual harassment and abuse on October 25, 2017. How a #MeToo blog broke a culture of silence and led to a pledge for change. 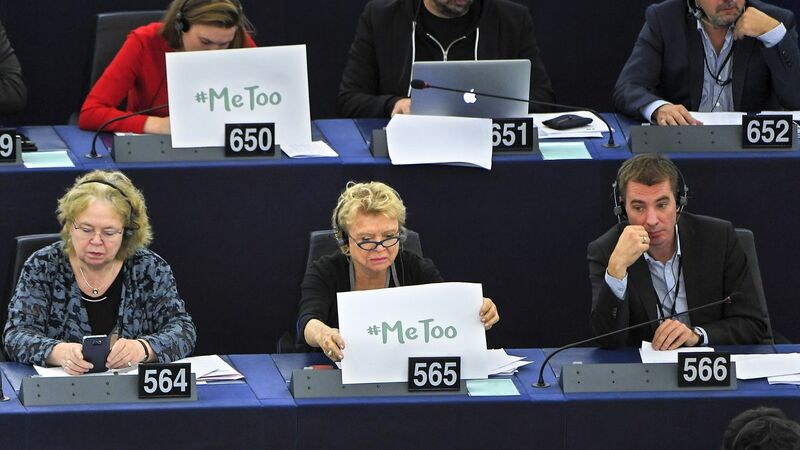 Nothing has changed in the European Parliament after #metoo, according to parliamentary assistants Jeanne Ponte and Anni Saga Hirvelä. The interviews opened a floodgate. Members of Parliament held #MeToo placards at a meeting of Parliament to demonstrate support; some members shared their experiences in front of the session and criticized the reporting mechanisms. Correction: A previous version of this story said that Ponte was under pressure from a spokesperson for the European Parliament not to speak to journalists. While Ponte said there was pressure on her to stay silent, it did not come from the parliament’s spokesperson.